Haworthias (the species of the genera Haworthia, Haworthiopsis, and Tulista) are near-endemic to South Africa, with a few species have presences in neighboring Namibia, Swaziland, Mozambique and Lesotho. The species grow in both a variety of habitats and at a wide range of altitudes, ranging from ~30 m (H. fasciata) near the coast to ~1800 m (H. limifolia) at inland localities where frosts can be very heavy. New populations are being found constantly, extending the recognized distribution of many species. 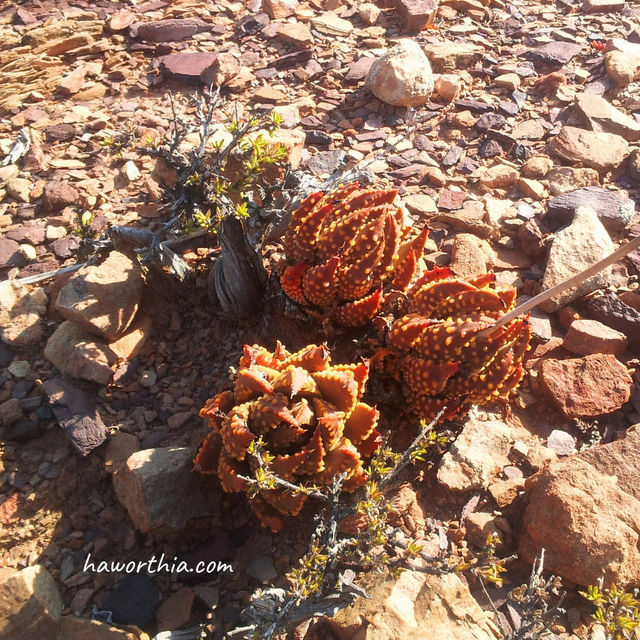 Haworthias have distributions in various biomes including the Succulent Karoo, Savanna, Nama-Karoo, Grassland, Thicket, and Fynbos. The rainfall patterns experienced by Haworthias vary from the Mediterranean (rain in winter, dry summer) in the Western Cape to humid-temperature (year-round rainfall) in the Eastern Cape. The most eastern and the northern species experience a summer-only rainfall pattern. The average yearly precipitations vary from 100 mm (H. tesellata) to 700 mm (H. limifolia). Haworthias are not desert plants and none exist in the driest regions of South Africa. The ones in the driest area（e.g. H. arachnoidea) only grow in the most favorable locations, such as at the base of large rocks or in rock crevices, where the run-off from condensation, fog and heavy mist supplies additional and not normally recorded precipitation. A H. truncata var. 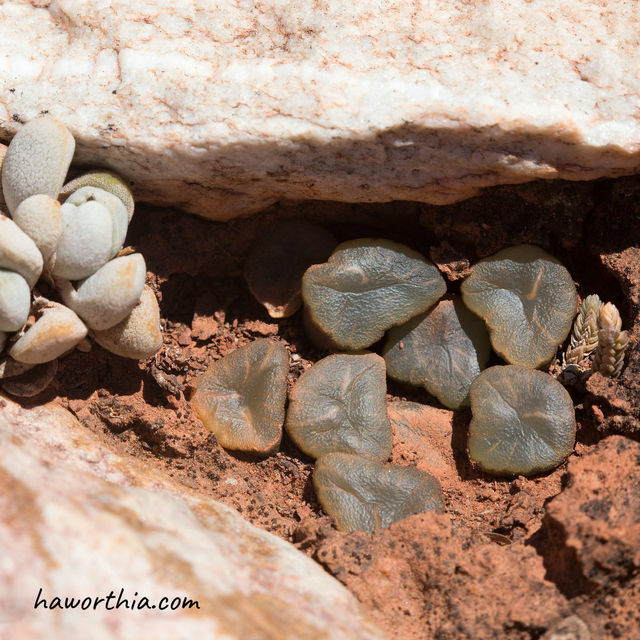 maughanii grows with other succulents in a rock crevice. Some species (e.g. H. tesellata) have a widespread distribution and may occur in large populations, whereas other species (e.g. H. springbokvlakensis) are only known from a few individuals in a very restricted area. The favorable terrains of each species vary from flat ground to slopes, rocky outcrops or sheer cliff faces, and some species like H. viscosa occupy numerous habitat types. Where two related species meet, there are sometimes natural hybrids with a huge variety of characters within the mixed populations.